Whatever your industry or niche might be, two things are highly likely – (1) one of the main goals of your business is generating more leads and sales, and (2) you have a blog. If that’s the case, the only thing you are missing to start generating leads on your blog is a powerful lead generation tool. This is where LeadQuizzes kick in. LeadQuizzes is a tool that enables you to simplify the entire lead generation process by using quizzes and other interactive content to qualify, engage, and capture leads more effectively. Today, quizzes seem to be omnipresent in the online world. Wherever you land online – be it your Facebook timeline, Twitter feed, email inbox or just a random website – you’re likely to stumble upon an online quiz or two. On the surface, they may seem like a fun and useless way to kill some time online. Under the hood, however, quizzes turn out to be powerful lead generators. 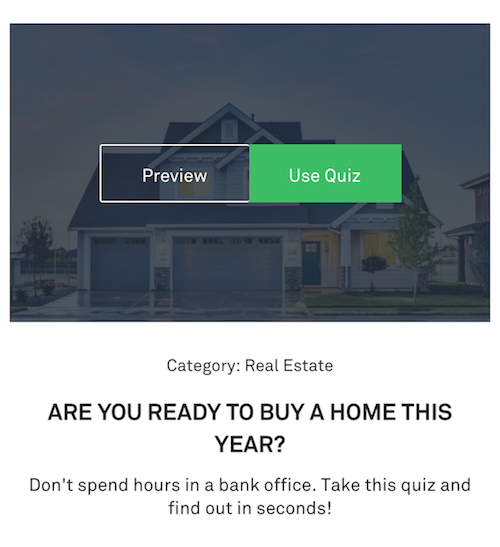 In fact, if you still haven’t implemented quizzes into your marketing strategy, you might be missing out big time when it comes to generating more leads and sales. Here’s how to use LeadQuizzes to generate leads on your blog in 3 simple steps. Before you even start thinking about creating a quiz, first you need to define your target audience, determine your end goal, and come up with a quiz idea your audience will love and appreciate. 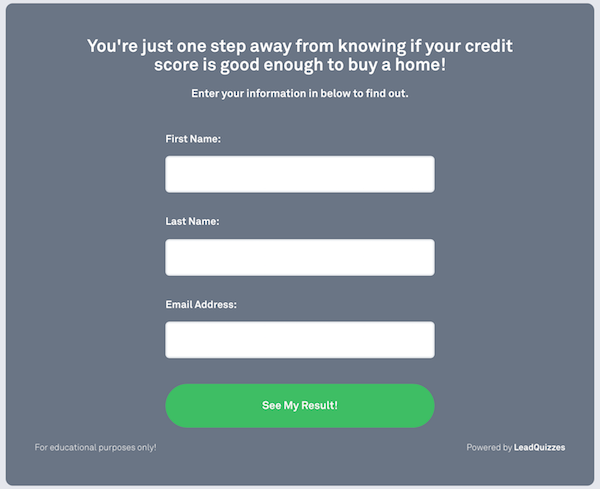 You’ll find all of that (and much more) explained in greater detail in this comprehensive step-by-step guide on how to make a quiz using LeadQuizzes. All you ever needed to know about the quiz ideation, creation, and promotion is in there. Traffic is the fuel for all your lead generation efforts. That being said, one of the best ways to turn your blog traffic into leads is by adding a quiz to your website. This way, not only will you have an amazing piece of interactive content on your blog, but it will also collect leads for you. 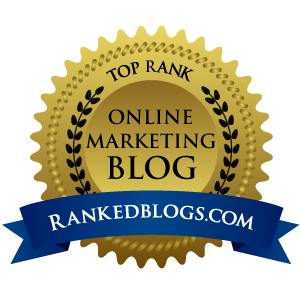 Sure, turning your existing blog visitors into leads is the easiest way. But quizzes can also help you bring new traffic to your blog (which you can later turn into leads). There’s no use in creating the best piece of content on the Internet if no one’s going to see it, right? The most effective way of putting your quiz in front of your audience is by advertising it on Facebook. In fact, the majority of quiz shares on social media (84%) happens on Facebook. In addition, well-designed and thought-provoking quizzes often become viral and get millions of shares (think Buzzfeed). Collecting leads from your existing blog traffic and traffic from social media is a great start. But it’s only that – a start. Once you’ve got your quiz takers to click the Submit button, you need to make sure those leads are further nurtured until they eventually become customers. Using one of the available native integrations or Zapier, LeadQuizzes enables you to effortlessly pass the obtained data to over 1000 apps. As a part of your email marketing campaigns, these integrations allow you to send personalized follow-up emails to specific leads based on their quiz answers and results. Lead generation is one of the most important components of a lucrative online business. Owning a successful blog is a great start, but pairing it with a powerful lead generation tool might just be the winning combination. There are many different lead generation solutions out there, LeadQuizzes being just one of them. Whichever you decide to use, keep in mind that it should make the entire quiz creation process as intuitive and straightforward as possible while allowing you to easily customize your content and track leads.